I recently completed a project for the Village of Anmore, the place of my future home. 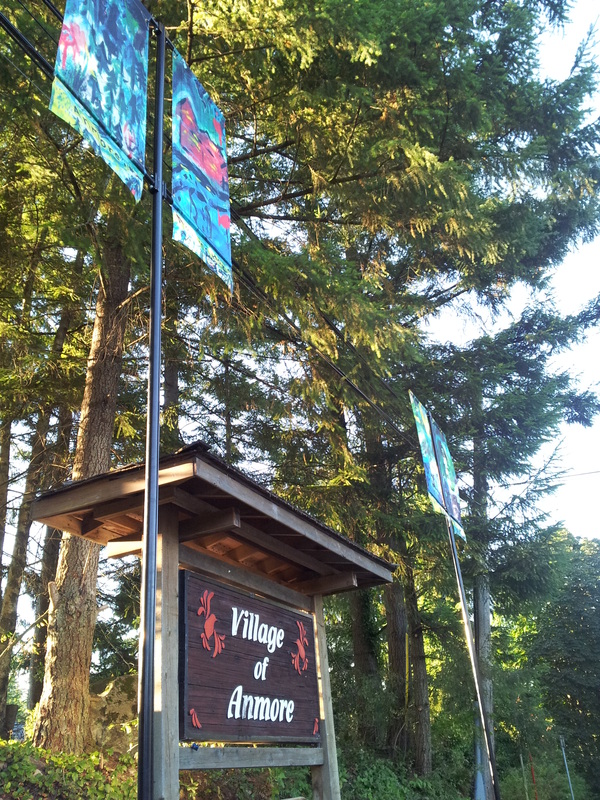 The village is a bit of an outpost in Greater Vancouver. Not many people are aware of its existence, although many have travelled here on their way to Buntzen Lake an idyllic, man made lake. Anmore has a very unique heritage, in the time since people settled here, it has transitioned from mass resource exploitation, to family homesteading, to a radical resistance from urban sprawl. It also is not immune to the rapid development of real estate fueled by the debt based economy. Where once 40 acre farms were home to self sufficiency, now multi-million dollar mansions co-exist. Here’s a collection of Anmore stories produced by my friend Lisa G.
Wild Salmon Warriors Creatively Unite!